2016 Canadian Junior Champion and Worlds Bronze Medalist Matt Dunstone has announced his team for the 2016/17 curling season. Dunstone will be joined by Alex Forrest at Third, Ian MacMillan at Second and Connor Njegovan. Forrest, MacMillan and Njegovan rank 35th overall on the Order of Merit YTD, runners up at this year’s Westwood Classic in Swan River and the MCT Championships in Dauphin. “I’m very excited about this new squad. All three of them have a lot of experience on tour, and we are all relatively close to the same age,” said Dunstone when reached after announcing his new squad. 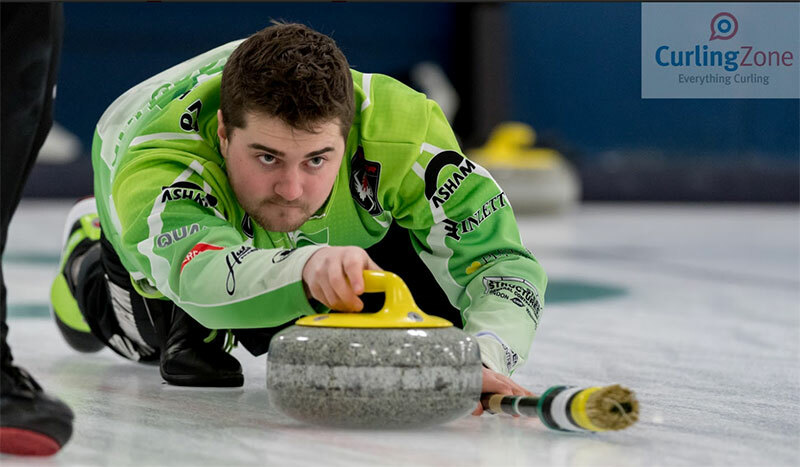 Dunstone has generated a lot of attention over the years with his high energy play and results with his junior squad on the World Curling Tour, but his sparing experience at the Grand Slams with Pat Simmons and Charley Thomas showed he’s ready for the Men’s game. “Both those experiences I had at the Grand Slams showed me what I had to work on to make it to that next level,” added Dunstone. To many the announcement may be a bit underwhelming spot to land for the young star in the making, but joining with Forrest, MacMillan and Njegoven provides an opportunity for the team to grow together, and a strong start to the season could see this team in contention for Grand Slam berths and more very quickly. “We plan on playing a relatively heavy schedule, especially early on,” said Dunstone when asked about their plans for the season.